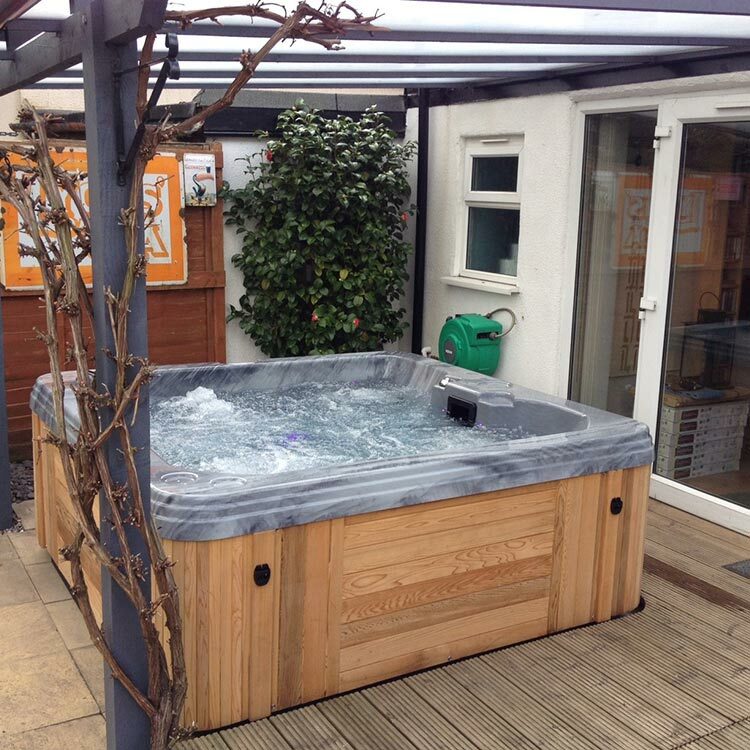 Please look at our ‘why buy our hot tubs tab’ and find out for yourself that we have the best quality hot tubs. 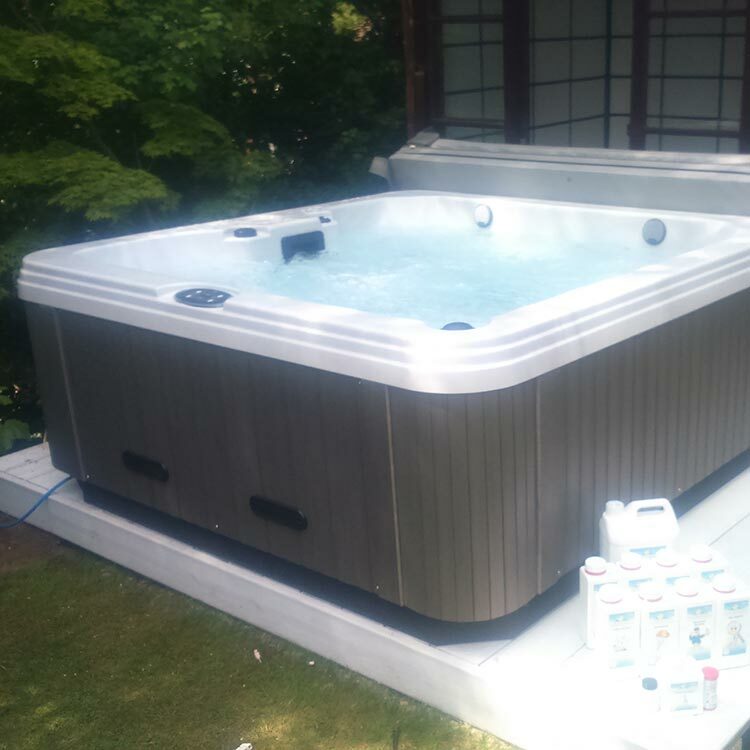 The Regency Collection hot tub shells are comprised of the ﬁnest Acrylic, vinyl ester skin coat and multiple layers of hand rolled ﬁberglass. In fact, we use only the highest quality ﬁberglass in the industry, Owens Corning™. 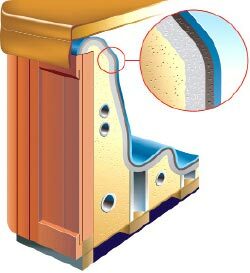 The ﬁberglass is formulated with special resins that we hand roll 8 to 14 layers (dependent on particular model series) onto the acrylic. 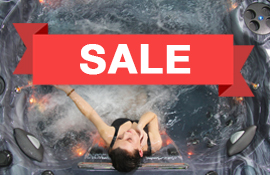 To provide even more superior reinforcement strength, we use 1 1⁄4-inch Steel Angle iron strategically encapsulated in high pressure areas, making Coast Spas the strongest built spa shell in the industry. 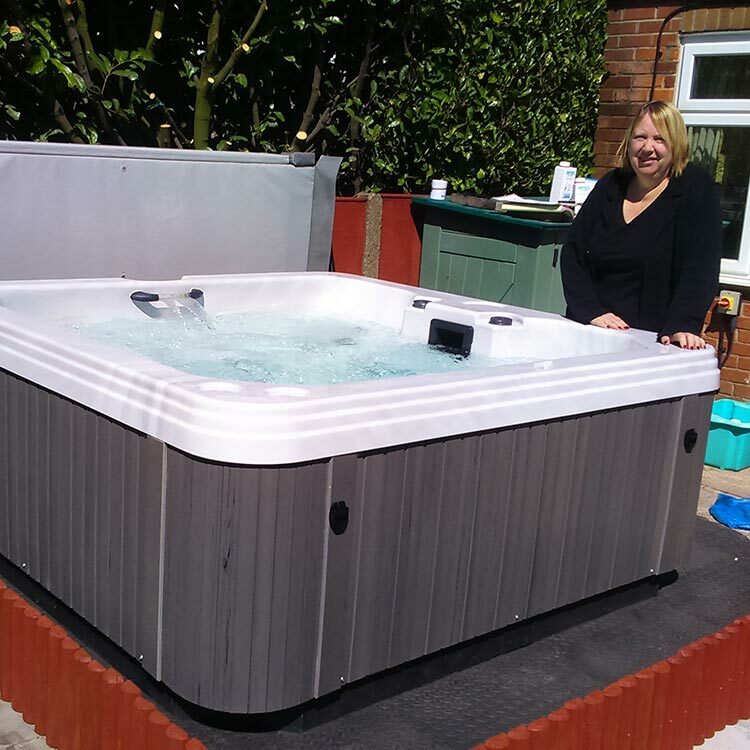 We stand behind our product proudly by providing a lifetime structural warranty on your spa shell. 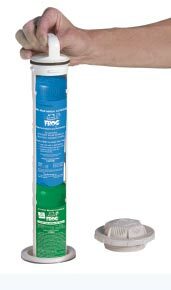 The optional FROG® system takes the thinking out of spa care with easy to use water cleaning cartridges. This continually cleans the spa water so you don’t need to worry about constant spa care. FROG® transforms your spa into a perfect environment for relaxation with water that feels softer and is crystal clear every day with little effort. 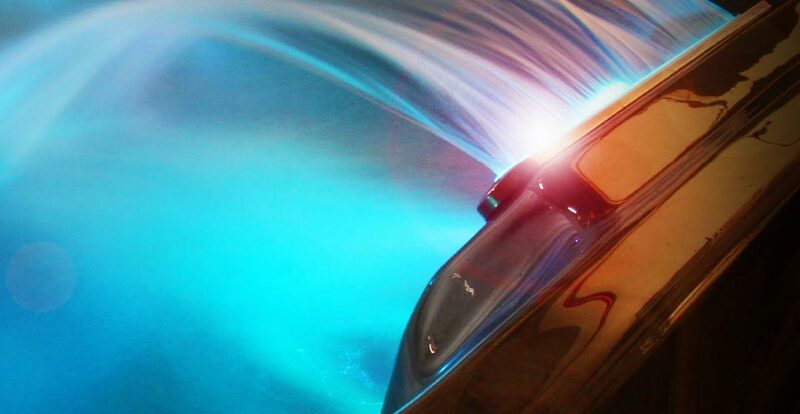 Every spa has the option of having our SPA FROG® system built right into the spa. 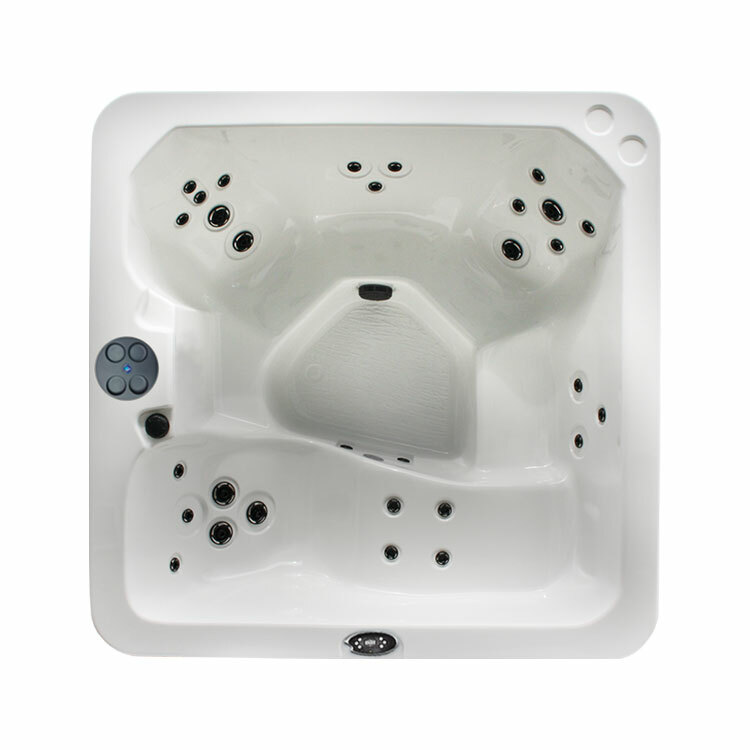 Each spa can be fitted with a FROG cap that twists off and houses the FROG® system cartridges. It contains a Bromine cartridge that controls bacteria in the water and a Mineral cartridge that helps support the Bromine while oxidising contaminants like body oils. The FROG® will continually clean and polish the water through the cartridges so you can just relax in the spa every day without any worry! 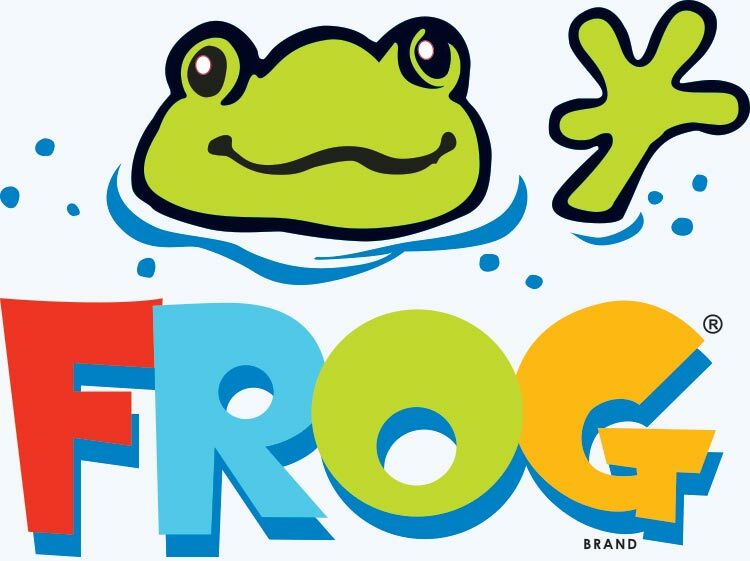 What are the benefits of using the FROG® system? Whether diminishing the stresses of everyday life, healing a sports injury, relieving aching joints and stiff muscles due to arthritis or simply letting you achieve a good night’s sleep – your Regency Collection hot tub can help with Physician designed Zone Therapy™. 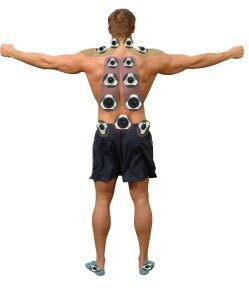 Zone Therapy™ utilizes strategically positioned jets to target specific pain zones that contain muscular trigger points. More jets don’t necessarily mean a more effective massage. Precisely locating the correct size jet and massaging action where they are most effective is key to relieving pain and stiffness throughout the entire body. The Zone Therapy™ concept has been designed by medical specialists in the fields of physical rehabilitation and massage therapy. 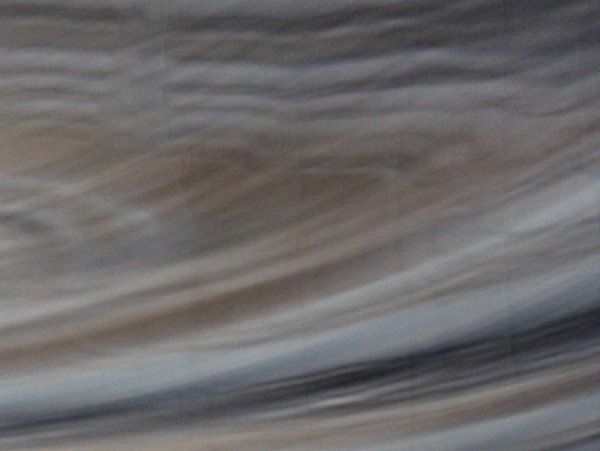 Every Regency Spa has been 100% A+ insulated to suit the UK climate. A+ insulation has an R-Value of between R-48 to 60. The A-Rated+ insulation is a 2 Ib density thick foam that encapsulates all of the plumbing and pipework to prevent leaks and vibrations in the plumbing, muffling the sound of the spas pumps, and ultimately offers the most efficient heat retention available in any spa. Dramatically increases the strength and life of the spa’s shell. Secures plumbing to the shell for longer plumbing life. 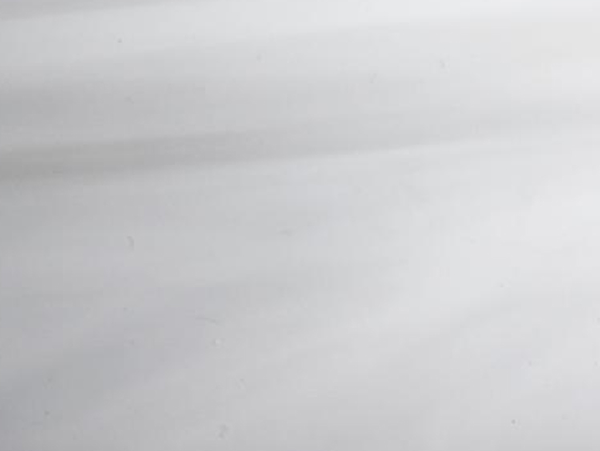 Conforms to all curves and spaces to provide a seamless air barrier. 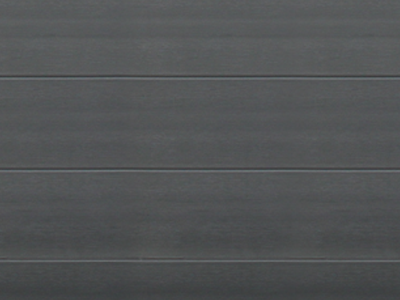 Increases the durability of the structure. Provides consistent R-value to the spa. 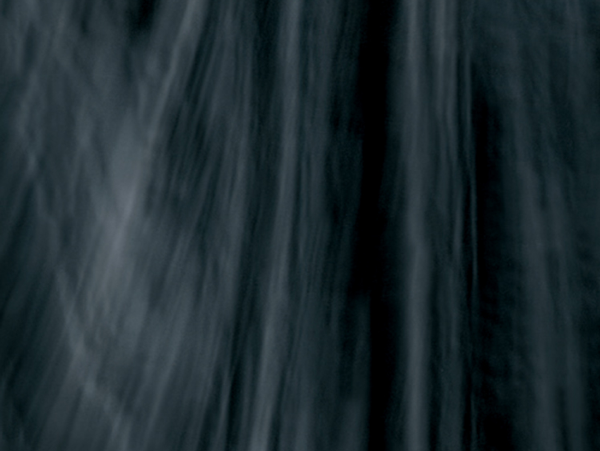 It is not water permeable, it allows moisture to diffuse and dissipate and will not trap moisture inside its cells. It dries completely when damp and does not hold moisture. Powerful family hot for 5 if access is a little tight or you don't want to be too extravagent. This is a much more powerful and more efficient upgrade from a blow up style spa and a has a decent variety of seating with a lounger. The basic model has no frills, so make sure it has full foam insulation, all of the lights, music and purification system added if you're going to use it throughout the year. 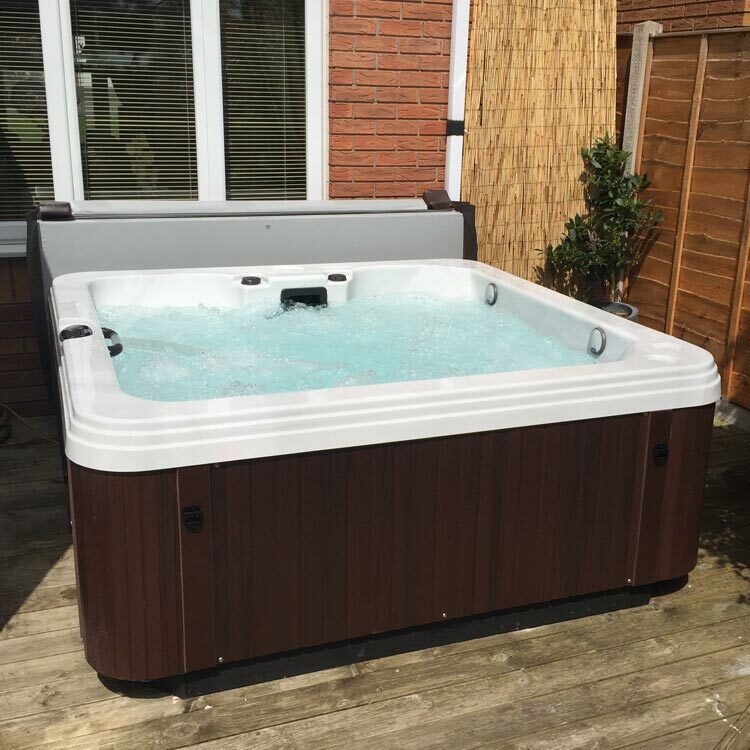 This is a good value for money hot tub with good guarantees manufactured by one of the best hot tub manufacturers in the industry. Lots of power for a spa with 1 pump and the divert dial is handy if anyone wants all of the jet propulsion in 1 seat. There is lots of substance under the bonnet of the spa and especially well insulated for one of the cheaper models. The guarantees were as good on mine as on the best one in the showroom which was 20 grand!! 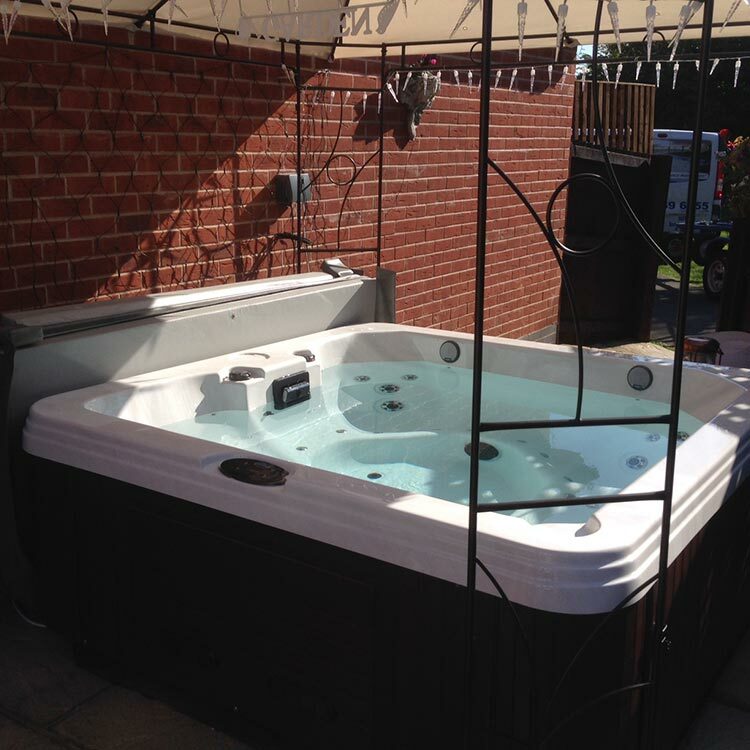 We started with a lazy spa and went to look for a replacement at A5 Spas when ours stopped working. We knew a little about the chemicals and what-not, but were so impressed with Julia's knowledge. The Baron seemed the best replacement for the old one so that was what we chose. It automatically filters and heats and takes hardly any chemicals. I'd say the running costs are about ?400 a year and that's leaving it switched on all of the time and usuing about 4 times a week. 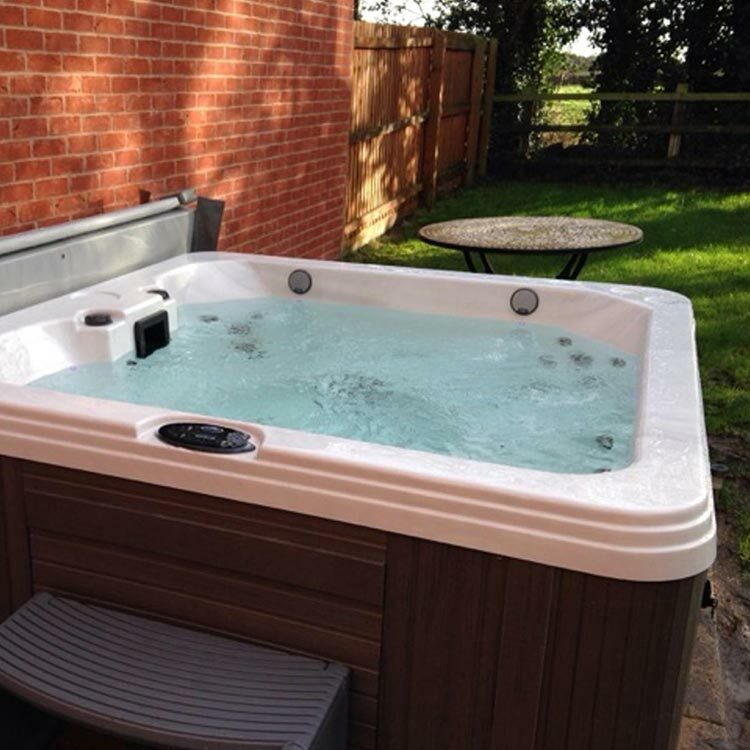 You'll only buy one hot tub so take your time and choose it wisely. We bought ours from Daniel and are extremely pleased with the choice we made. It has everything we wanted especially easy use and low running costs. We only have a small garden and we didn't want to disturb our neighbours with the noise. The foam insulation is so important if you do want low running costs and you want it to be quiet at night. There are so many hot tubs we saw elsewhere without this insualtion and we weren't warned about it either. Daniel gave us all of the choices so were able to tell him in advance and he was able to give the guarantees we were loking for. Low running costs and nice deep seats. The lights are pretty and there's a cool lounger seat if you want to chill on your own. We don't have a cover over ours cos we like looking up at the stars. 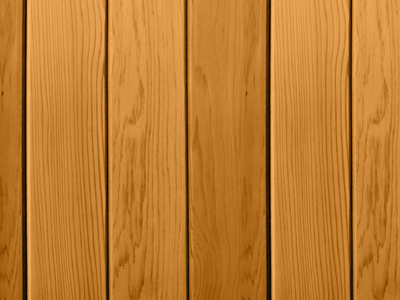 You decked our garden and stained it to match the lovely cedar cabinet on ours. We now have a big umbrella over it and it looks fab. Ours has a great music system and 4 seats with adjustable jets. There's a lounge seat as well which has a separate supply of water to the jets for extra power. It makes the garden look so nice but the garden looks even better when we're in the hot tub. I wanted the best and it's hard to deal with not being able to afford it. 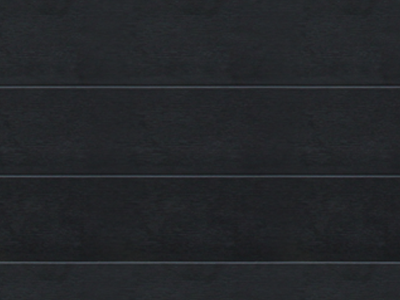 The internet tells you that there are better ones available for the same money. NOT TRUE. It is smoke and mirrors. I bought one with loads of extra jets and lights and it was costing me over ?30 a week to heat in January. So I sent it back and got a refund from Mastercard-eventually! I had to swallow my pride and reign it in. Mark looked after me and i bought the new Baron. It is super heavy and very well made. I'm happy with the extra quality over bling and have it switched on all year round. It was difficult to chose one from another on tinterweb they all look the same. But it's like anything without checking carefully some look good but have no substance. We were told all about insulation and water chemical systems as well as jets and seating. After an hour we had enough information to spend our money. It is tough when you're spending that kind of money on something you want to last 10 years and is going to left switched on everyday. It was good to get the right amount of seats and know that it wouldn't cost too much to run. Beware! When you buy a hot tub your garden becomes a time warp and wine bottles mysteriously empty themselves. Make sure your hot tub is properly insulated and then you can spend the money you save on more wine. We had 2 smashing lads deliver the spa and boy can they talk. We chose the Baroness because we didn't want anything to big outside. The hot tub is deeper than you think even though it is one of the lower ones. The loungers in the other spas were too long and Sarah had to really stretch to reach the jets. the lounger in our hot tub is just right for both of us and the other seats don't drown the kids. Your guys were putting up the cabin at 6am and filling up the hot tub at 6pm. We were in it at 3am next day. 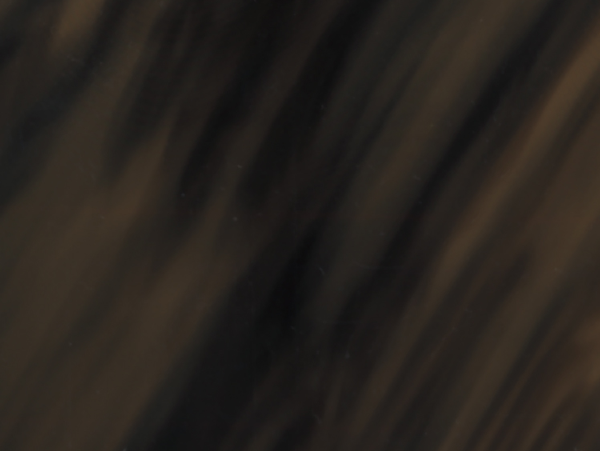 The whole journey from first contact was great. We saw the spa, Charlotte answered all of our questions. 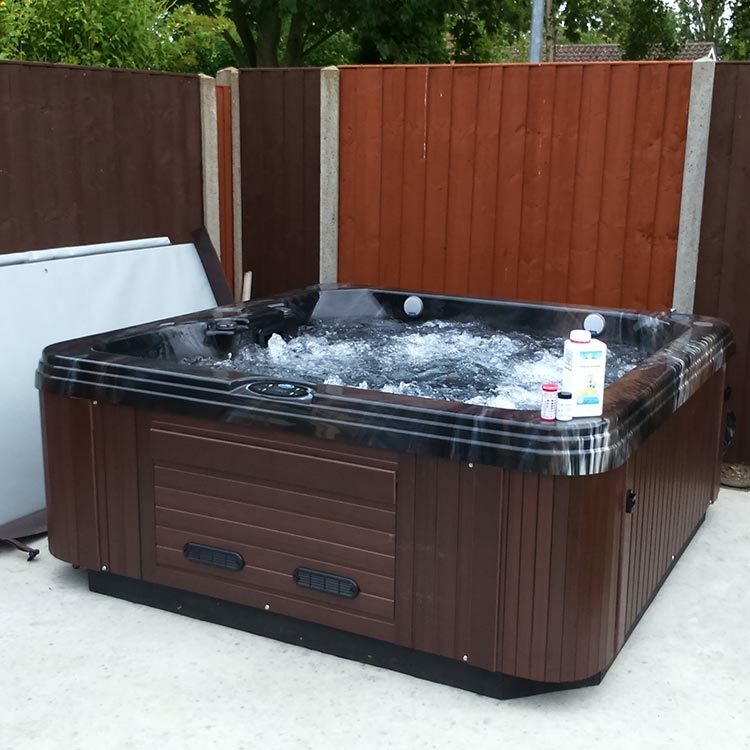 We wanted a low 5 person hot tub with a lounger and low running costs and of course with good guarantees. Because your spas are made in Canada and i know all about how cold it gets there, it helped us make our mind up. We knew you'd been there for ages and I pass you everyday going to work. I had to bring my wife back to get her approval and fortunately we both liked the same hot tub. The features are very prominent and it looked like it was very high quality. We are extremely happy with the whole service and feel we bought the best we could afford and you deserved our business. Great service, great choice. Easy to chose you to buy from-not so easy to chose the spa. Price was a big factor and its difficult not to be tempted by more jets at a lower price. In the end sense prevailed and I chose quality and reliabilty. So far I am very happy with my choices. Ours sits nicely outside our patio doors. We can jump in it whenever the feeling takes us. Cover off and straight in anytime we want. It?s a brilliant luxury and better than sitting falling asleep watching repeats on tv. I liked that we had the one our size because it's not too big on the patio or too high through the window. it is rather like a tardis when you get in. there's more room than you think. Love it. the seats are deeper than we at first though which is good by the way. There is plenty of room for 5 of us and the lounger is a nice luxury. The lights are great when no one is in it but are covered when there's 5 of us. So my advice is to make sure there's a nice big underwater light in the bottom area as well. The one we have in ours is better than all of the others around the outside and it changes colour. I wasn't expecting as much power seeing mine only had lower specked pump, but this is cool and I like that I can direct all of the power onto the lounger or the deeper bench seats. 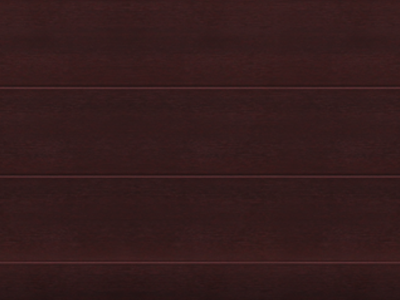 Very happy and satisfied with the quality - price to performance ratio. Nice, bubbly people at their stores. Nothing is too much trouble. We didn't want to spend a lot and we wanted a smuch as we could for the money. 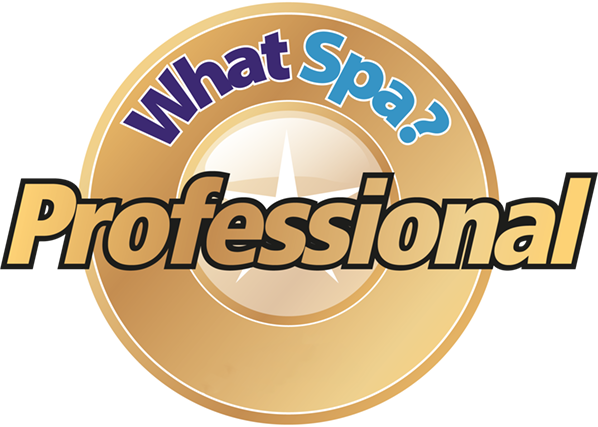 After we had the consultation we decided we wanted quality, style and reliability and the spa we chose had it all. we also didn't want to take up too much of aour patio in our courtyard area. The seating is lovely for us both and there's still plenty of power from the jets which to be honets we hardly use. All that's really important is before we get in is clean, hot water and a cold glass of white wine. Good honest advice and especially about running costs and maintenance. We are happy with ours and the choices we made. Your after care is very quick and very good. We had the islander and New Jersey package. It was great value for 2 quality products without buying cheap. Everything was fitted in a day and we've since put in a fridge and twinkley lights. We sometmes shut ourselves away and it's easy to forget you're in your own garden. These guys are the best. You'll find this when you shop around. Our hot tub was and still is, 3 years later, great value. With chems it costs us around ?500 a year to run and we change our water 4 times a year, making sure it's perfect and ready for Christamd and New Year. Make sure you've got enough chemicals to see you over the festive period otherwise you've got to get out of the hot tub to go and buy some. Found you on line and we were very pleased you were a real business with shops. 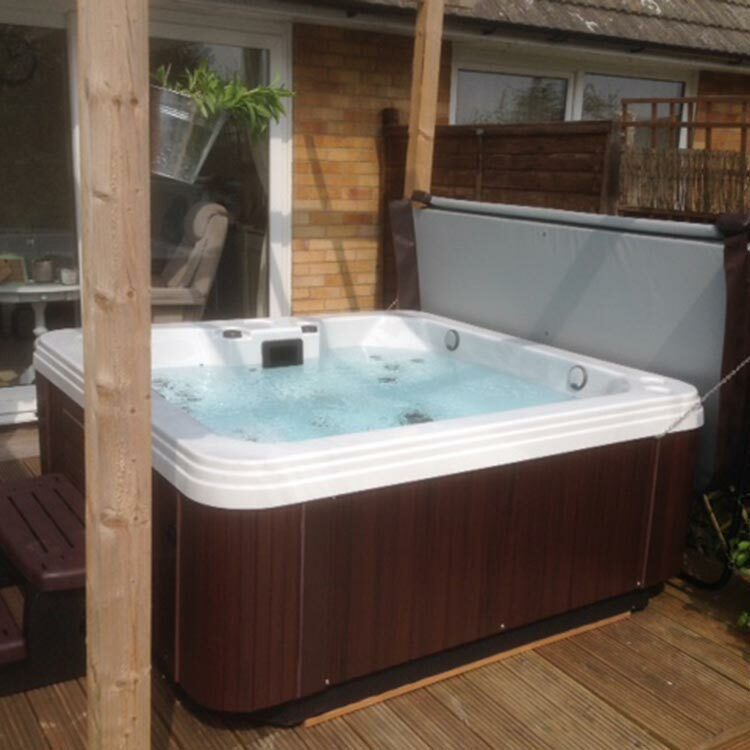 Our experience has been very pleasant and we're very happy with our hot tub spa. A nice selection of seatas with a lounge. It is quite easy to maintain and the right size for us. We've had ours 3 years and we highly recommend your company. Charlotte sold it to us and Sarah and Chay fitted it and nothing was a problem for any of them.We pop in regularly and are always greeted by name and offered a cupof tea or coffee. We only had a small budget but were offered a great deal on a proper 5 seater and the insulation and ozone was included in the price. 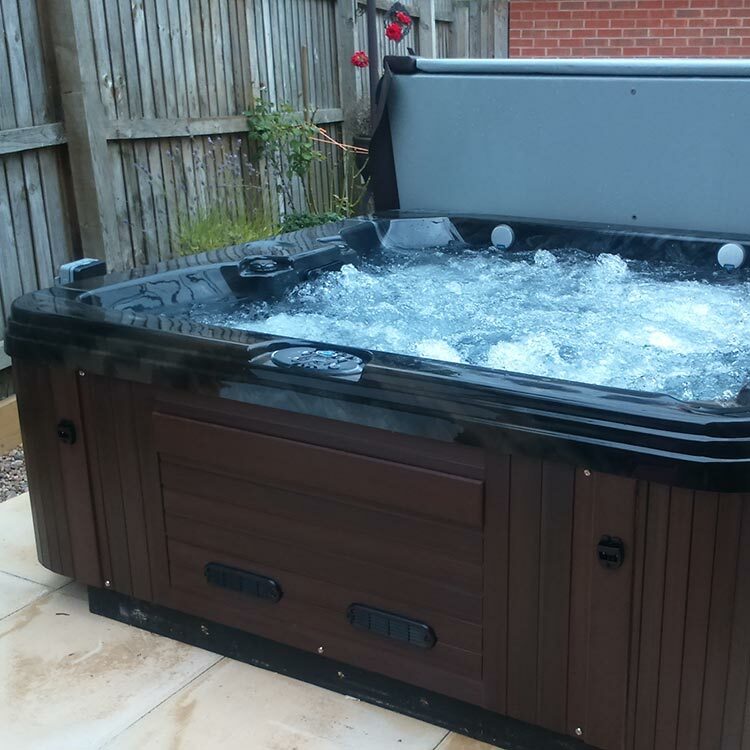 If you're looking for a hot tub on a budget and want reliability buy the Baron from Coast Spas. Tidy, economical and powerful. We've had ours 4 years, we've had no issues and it still looks as good as new.